Having just bought a Google Chromebook I was looking for a printer that supported Google Cloud Print. Also wanted to be able to use it from our iPads. Lastly, I wanted to make sure it could be setup and configured without needing to be connected to a laptop with special software installed, because eventually I see us not having a laptop in the house. 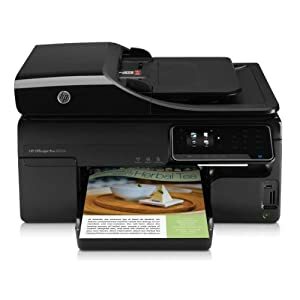 The HP Officejet Pro 8500A, at $169.39 with free shipping from Amazon (now $139 it seems) provides all this and more. More than I need in some ways, but there didn't seem to be a cheaper option that supported my requirements. It's a beefy printer - certainly not something you'd want to travel with. But it takes 250 pages, and has four ink cartridges (with extra large ones available) so shouldn't need refilling too often. 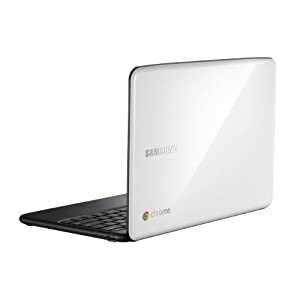 My white Chromebook arrived today (ordered 2 days ago from Amazon for $499 with free shipping). My first impressions are very good. The whole unboxing and setup took me 10 minutes. Having gone through that I've powered it off and back on, and signed off and back in, and shut the lid and reopened. Each time it behaves exactly as advertised and gets me back to Chrome very quickly.